Shortly before the dawning of the 1960s, a historic document, with the title of Searching for Interstellar Communications, was prepared by Phillip Morrison and Giuseppe Conconi, a pair of physicists at Cornell University, and which was published within the prestigious pages of Nature. 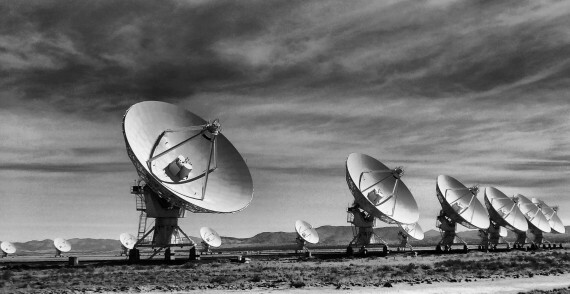 Its focus: the potential feasibility of seeking out alien life via high-powered microwaves. 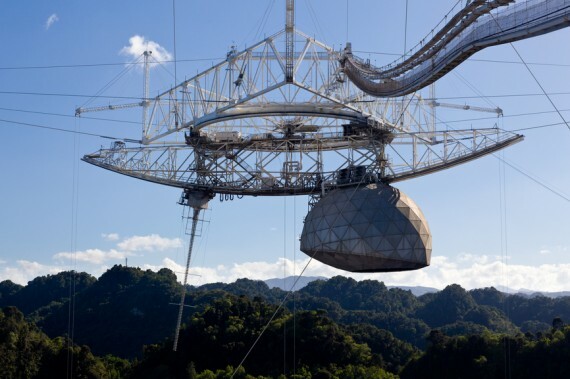 When Frank Drake chose to focus his work on a quest for extraterrestrial life, it was a decision that ultimately took him to none other than Puerto Rico and its now-famous Arecibo Radio Telescope, of which Drake ultimately rose to the rank of director. “After my 7 years of research here, the accumulating evidence suggests we may be dealing with a new form of life in Puerto Rico. Sometimes huge, and sometimes small drones, I believe these beings could be a highly-advanced, extremely sleek and efficient organic/electronic hybrid. They have probably evolved much longer than humans, and are now capable of inter-stellar and inter-dimensional travel, seeming to pop in and out of our visible dimensions almost instantly. For the readers who follow Mystica’s “Better Life” category, here comes a dish from Sri Lanka with a lot of benefits for your health and life energy. We were notified of this dish by a Sri Lankan member of our open think tank and found the information worth to be made available to a broader audience. We’re talking about Kola Kenda, a herbal soup made of indigenous leaves, local rice and water, sometimes coconut. Some of the indigenous leaves used to make this porridge are Gotu Kola (Centella asiatica), sessile joyweed (Alternanthera sessilis), known as mukunuwenna in Sri Lanka, or Haathawariya (Asparagus recemosus). However, any type of edible, dark green leaves can be used. Dark green leaves provide fibre, calcium, vitamin K, iron and even folic acid. Many Sri Lankans prefer to eat leaf porridge on an empty stomach at breakfast. – Prevents cancer and heart diseases. – Enhances the immune system and helps maintain bones and teeth, as well as reduces inflammation. Blend the leaves (about two handfuls) and a one cup of water in a food processor or blender. Add the blended leaf mixture into the container with the rice, salt and coconut milk. Feel free to add more water or coconut milk according to your preference. Bring ingredients to a boil for about 5 minutes. More recipes with slight variations to match your personal taste can be found browsing “Kola Kenda”. There seem to be many more options of preparation. The weather is a dance between an odd couple: the frantic atmosphere and the staid sea. The atmosphere changes quickly, as when a strong wind suddenly starts to blow or a cyclone careens ashore. The ocean seems more sedate. Its wide gyres trace the edges of continents, carrying sun-warmed water from the equator out towards the poles. Even the rough storms that terrorize sailors are more the sky’s fault than the sea’s. The waves that toss a ship are whipped up by the wind. But it turns out that the ocean makes its own gestures; it just makes them very slowly. Enormous vortices of water, measuring 60 miles across, spin their way across the sea at a deliberate pace—3 miles per day. Oceanographers have dubbed them mesoscale eddies for their middle size, larger than a wake formed by an aircraft carrier and smaller than a gyre. Each one is like an upside down mountain of water, held together by its own rotation and extending about 3,000 feet beneath the surface. In the video above, eddies show up as red and blue dots dancing around. (Red ones spin clockwise, blue ones counterclockwise.) Just how much water gets carried around by all these eddies? The total is staggering: more than 30 times the amount dumped by all the world’s rivers into the ocean, according to a paper published today in Science. Other stuff gets caught in the vortices and taken along for the ride. This huge network of eddies may be shipping packets of pollutants, organic nutrients, and dissolved carbon all around the world. To reconstruct the 3-D structure of the eddies and find their volume, a team of oceanographers led by Bo Qiu of the University of Hawaii used data from underwater floats. More than 3,000 ARGO submersibles are scattered around the globe, lurking under the surface. Each comes to the surface every 10 days to report the water temperature, salt content, density, and velocity. An eddy, once born, might travel for months or years before dissipating. 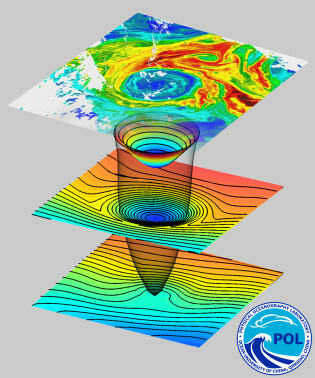 By combining a decade of satellite and submersible data, the researchers were able to track the incredible mass of water collectively moved by eddies across the entire world. Qiu’s calculations surprised even him. Previously, it was thought that the steady currents like the Gulf Stream were almost entirely responsible for moving stuff through the ocean. The ocean transports trash, nutrients, radioactive waste, dissolved carbon dioxide and heat all around the world, and the latter two are especially important for understanding climate change. Qiu’s study raises the possibility that eddies also make a substantial contribution to these transports. This paper will kick off a wave of research among climate modelers, says Ryan Abernathey, who studies the impact of ocean circulation on climate at Columbia University. “The volume estimate is really surprising,” he said. “This is an important effect. The next question is how leaky the eddy is.” The eddy is made of water, after all, and the difference between inside and outside is not precise. If, say, the dissolved carbon caught in an eddy slowly slips out, then after a year of meandering an eddy may have left its original contents an ocean away. But if the eddies hold their cargo tightly, they might be shipping enormous packages of carbon, salt, and pollutants from Australia to Africa and from Europe to America. Scientists are now trying to figure out how the packages effect local ecosystems and the planet’s climate.